© Copyright Gilbert Scott and licensed for reuse under this Creative Commons Licence. 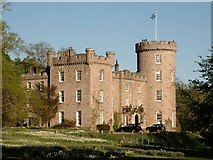 The Castle Forbes Gravity Race is a brand new event for the Scottish cartie racing calendar in 2011. See http://castleforbesgravityrace.webs.com for further details. Local residents who fancy themselves as the new Lewis Hamilton are being urged to get creative and enter Kemnay Primary’s first ever Cartie Rally before the closing date next month. Pupils at the school are organising the event - which is due to take place down a 150m stretch of the village’s High Street on May 8 - in association with Aberdeenshire Council, Grampian Police and Kemnay Community Council, and are hoping for a surge of entries before the closing date on April 1. The rally is open to everyone of school age and upwards to enter, with categories split into P1-3, P4-7, S1-S6 and Adult. Carties must be home-made and push only, meaning no pedals or motors will be accepted. Each category is set to have its own heats and final, with the carties being pushed for the first 50m then freewheeling the last 100m to finish. There will be prizes for the best designed cartie, best effort, most colourful cartie, fastest time and category winners. For further information and entry forms, see http://www.kemnay-pri.aberdeenshire.sch.uk/page85.html. Whirlowbrook Hall Soap Box Derby, near Sheffield. Border Bogies 2011 will take place on Saturday 21st May. Classes for Soapbox Cartie and Gravity Sidecar. Keep an eye on http://borderbogie.co.uk for details, entry forms, etc. An evening of gravity racing at Cadwell Park, Lincolnshire. See Apple Head Gravity Sports for details. According to their web site, this event has been cancelled due to unforeseen circumstances. The Whitehill Bordon Town Partnership in conjunction with Hampshire Constabulary are holding a Soapbox Derby on the 30th May 2011. Vehicles are to be gravity powered only, anyone can build a cart, drivers must be 16 or over (under 18’s must have parental consent). The event will raise funds for Hampshire Air Ambulance and Bordon & Liphook Charity. For full details, see the Whitehill Bordon Soap Box Derby web site. Common Lane, Cox Hill, Marnhull. Are you the ‘JENSON BUTTON’ of Marnhull ? Proceeds to Marnhull Fest and local community. Entries for existing teams will be available from 1st January 2011, with entries from new teams being accepted from early February 2011. Bring your homemade cart and test your driving skills speeding through Lanhydrock's magnificent parkland. Fun and exhilaration for everyone from 5 years old upwards. Please contact Alice for an application pack and enjoy building your dilly cart! 01208 265278 or alice.barker@nationaltrust.org.uk for details. Keep up-to-date by following @LanhydrockNT on Twitter and National Trust Lanhydrock Countryside on Facebook. The one day event sees young people racing go karts that they have made over a purpose built course. The derby, which has gone from strength to strength since 2005, will be held on the recreation field next to The Isobel Centre, Furrlongs, Newport. In addition to the racing the one day event promises entertainment for the whole family offering refreshments, stalls, play rangers, falconry display, inflatables, Live music and lots more for all ages. Entry is free to both spectators and competitors alike. For further details, see http://iowsoapbox.co.uk/ . Extreme gravity racing on the longest, fastest, and most testing course in Britain - 2 miles in length with top speeds in excess of 60mph. Practice runs, timed qualifying, group races and finals spread over two days. Hair pin bends, sweeping curves and gun barrel straights. Set in the heart of Scotland - the stunning Cairngorms National Park. The ultimate test of soapbox and driver. The Hinckley BID Soap Box Derby is intended as an annual fun day for the teams, supporters and spectators of all ages from the Hinckley area, and beyond. As an event, it is also intended to raise money for local charities. The aim is to encourage up to 50 Soap Box Teams to compete. 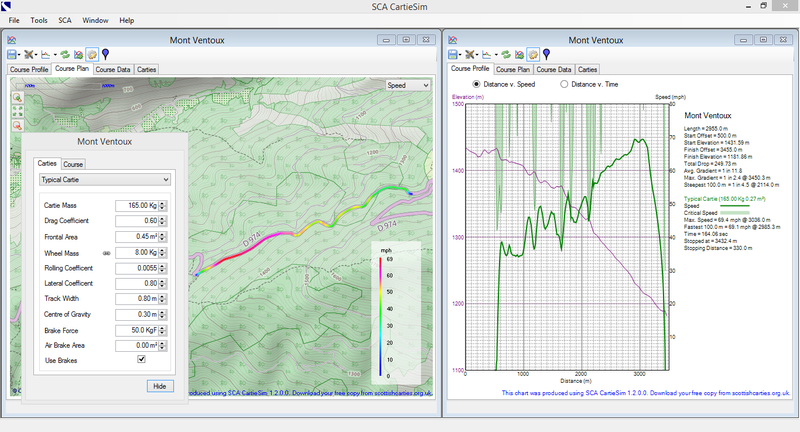 The idea is to utilise the natural hill on Castle Street for individual 'Time-Trial' performances – 3 runs per Team. The course will start from the Church Walk junction and end in Market Square. 'Themed' Soap Boxes are especially encouraged since they provide the most interest to spectators. Although an Entry fee is required (£25 per team), this event is also subsidised by the Hinckley Town Centre Partnership. We award prizes/trophies to competitors in recognition of their dedication to the day. LE10 1DD or E-mail as an attachment to Steve Wegerif. The 2011 Richards Castle Soap Box Derby will be held on Sunday July 10th on Hanway Common, near Ludlow in Shropshire. 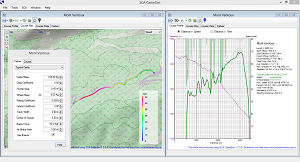 The course is 550m in length, with a vertical drop of 50m and gives speeds up to 45mph. Full details at richardscastlesoapbox.co.uk. Subject to final approval of the road closure the date has been provisionally set for Sunday 10th July 2011. Entry forms and rules available for download, and the maximum entry for this year is 16 carts so don't hang about. The format will be the same as CR2010 with four leagues of four with the winners and runners up of each league progressing to the next stage. Each team should get at least three races with this format so make a cart that survives. Set in the heart of the North Yorshire moors. Dalby Forest has a long history for hosting many types of racing competitions and provides a stunning backdrop for the event. The course has high speed off camber corners, made even trickier by the changing light conditions caused by the dense tree cover. Crossing the finish line, carts will be doing around 50 mph and have to be capable of slowing down to a walking pace within 100 metres. The course is not Suitable For Novelty Carts. The 2011 Aldington Soap Box Derby will be held on Monday 29th August. The date for the event is Sunday 11 September. Classes for soapbox, sidehack and gravity bike. 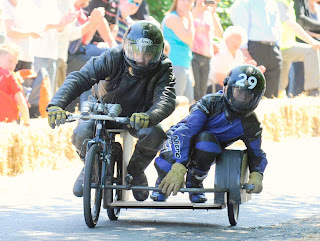 Now in it’s 7th year, the East Allington Whacky Races comprises a go-kart or soap-box style race through the village of East Allington, with competitors racing time trial style for the prestigous Luscombe Trophy. A sophisticated timing system will time each of the karts as they race down East Allington’s steep hill, starting at the school, passing the church, the Fortescue Arms and the treacherous Fortescue corner and finishing outside the Village Hall. There are categories for adults as well as children and a variety of fun prizes. The concept is simple and anyone can enter, all you need is a kart. The kart must have 4 wheels, a proper steering system and brakes and be deemed by the event safety advisor as being safe to race. Competitors must then sign their safety waiver, don their crash helmets and make their way to the top of the hill. The road is transformed into a Silver Stone style race track for the day, with safety barriers, straw bales, advertising banners and bunting lining the route and hundreds of eager spectators cheering the brave racers through the village. As well as the racing there will be a whole host of stalls and attractions including a bouncy castle, face painting, gladiator style giant cotton bud duels, donkey rides, sports day style races, live music and a feast of food and drinks to keep the crowds sustained throughout the day. Border Bogies 2012 will take place on Saturday 26th May, and entries are open now. Classes for Soapbox Cartie, Gravity Sidecar, Gravity Bike and Pedal Bike. Humber Bridge Jubilee Soap Box Derby is a community event organised by The Humber Diamond Jubilee Committee (HDJC) in association with the Humber Bridge Board and supported by Hessle Town Council, North Ferriby Parish Council in East Yorkshire and Barton upon Humber and South Ferriby Parish Council in North Lincolnshire. It is being held to raise money for charity whilst creating a fun day for the teams, supporters and spectators. ‘Fun’ or ‘Themed’ Soap Boxes are especially encouraged since they provide the most interest to watch! The closing date for entries is 10th May 2012. Entry form and further information available from here. Phone Phil Withers on 07834 435108 for further information. Marnhull Annual Soapbox Derby to be held at Cox Hill Common Lane Marnhull North Dorset on 3rd June 2012. All eligible carts welcome to attend. For regulations and entry form and full details contact:- Les Elsworth tel 01258 820432. mobile 07850749736. 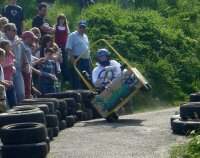 The Whitehill Bordon Town Partnership are holding their 2nd Soapbox Derby on 4th June 2012 Vehicles are powered by gravity, anyone can build a cart, drivers must be 16 or over (Under 18’s need parental consent). Funds raised by this event will be donated to Hampshire & Isle of Wight Air Ambulance and Bordon & Liphook Charity. Cartie Design – taking things too far!